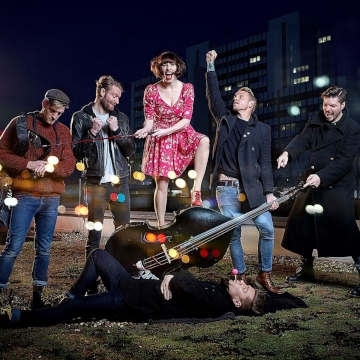 British folk band Skinny Lister formed in London in 2009. Initially performing as a five-piece band until October 2013 when a drummer was added. They are signed to Xtra Mile Recordings, and were previously signed to Sunday Best Records in the UK, SideOneDummy Records in the US, and Uncle Owen Records in Japan. After three albums taking confident steps into an ever larger world, their fourth offering, The Story Is... (produced and mixed by Barny Barnicott – Arctic Monkeys, The Enemy, The Temper Trap) takes the tales of the everyday, the minutiae of our lives, and turns them into potent pop that rings oh so true.